Kingman Historic Theatre: Showing this weekend Hotel Transylvania 2 This is the opening weekend of the film!!! 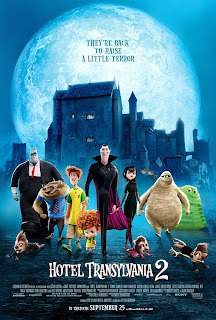 Showing this weekend Hotel Transylvania 2 This is the opening weekend of the film!!! Showing this weekend Sept 25-27 is Hotel Transylvania 2!! IT IS THE OPENING WEEKEND OF THIS FILM!!! Fri-Sat the movie stars at 7:30 On Sunday it starts at 5:30!! This movie is rated PG and stars Adam Sandler, Andy Samberg, Selena Gomez.